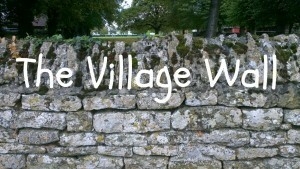 Last night thieves were operating in the village. Please ensure that valuable items are removed from your cars and that cars, sheds etc are properly secured. This entry was posted in General News on April 21, 2019 by Paul Cummings. An exciting opportunity has arisen for an extra couple to join the Safari Supper on 6th Apr 19. If you missed your chance earlier but would like to join this great chance to meet and eat your way around the village please call Paul Cummings: 720124 asap. This entry was posted in General News on March 29, 2019 by Paul Cummings. The Village Christmas Day Church Service (Communion) will be held at 9.30am conducted by Rev Jo Saunders. All are welcome and Children and their toys are encouraged. This entry was posted in General News, Parochial Church Council on December 23, 2018 by Paul Cummings. Everyone is invited to the Village Carol Service this evening, Sunday 16th December at 6pm in the Church. Through Drama, beautiful well known Music, Poetry and Song experience the wonderful Christmas Story coming to life. This is a family service for everyone and will include Drinks and Mince pies after the Service. This entry was posted in General News, Parochial Church Council on December 16, 2018 by Paul Cummings. On Sunday 11th November the village is invited to gather at the Village Church to remember those that have lost their lives in War and those that have served their Country in War and in Peace. We will also especially remember those Soldiers and Airmen from Great Britain and the Commonwealth who are buried in our beautiful churchyard. To commemorate this, the 100th Anniversary of the end of World War 1, a beautiful arch of over 600 knitted poppies has been prepared in the Church Porch, in addition the School will be helping to decorate the Church with poppies. The Service will start at 10.45 am, however you are urged to arrive by 10.30 am to secure a seat. We will be joined by CO 1 Military Working Dog Regiment RAVC, Lt Col Neil Lakin RE and a contingent from the Regiment together with our Uniformed Youth Groups and representatives of the Royal British Legion and Royal Air Forces Association. The Act of Remembrance will be led by Air Vice Marshal Nigel Sudborough CB OBE DL the President of RBL Rutland. 16 Villagers lost their lives in WW1 and their names are commemorated on the village war memorial, their stories do live on and you can view them here on the Rutland Remembers website. If you are unable to join us on Sunday do please visit the Village Church to see the beautiful Poppy installation and maybe pause for a minute at our Commonwealth War Graves Commission Plot. This entry was posted in Parochial Church Council and tagged Remembrance, WW1 on November 8, 2018 by Paul Cummings. The annual Bonfire and Fireworks Event run by the Parish Council will be held on The Oval on Monday 5th November 2018. All are welcome. This entry was posted in General News on October 30, 2018 by Paul Cummings. Remembrance Day Service – 10.40am on Sunday 11th November in the Parish Church, followed by Wreath Laying at the Commonwealth War Graves Commission plot in the Churchyard. All are most welcome. An opportunity to display copies of photographs, letters etc of family members that have been involved in any conflict in the past 100 years. These will be displayed in the Church. If you would like to be involved please contact Janet Whittaker – Tel: 721216 email: rutlandwhittakers@outlook.com. This entry was posted in Clubs and Societies, Knit and Natter, Parochial Church Council on October 15, 2018 by Paul Cummings. The Parish Council are finalising plans for Bonfire Night 2018 and need to identify more volunteers to assist with Stewarding and Bucket Collections. This is a great Village evening but it does need your help to deliver a safe and financially secure event. If you would be able to help please call – Paul Cummings: 01780 720124 or email: pbgcummings@gmail.com. This entry was posted in General News on October 2, 2018 by Paul Cummings. Thank to everyone that has submitted a response to the Local Plan consultation regarding the proposed development at St George’s Barracks. Responses delivered to The Fox or 11 Digby Drive will be delivered to RCC this morning. The Parish Council met on Thursday 20th September and endorsed a formal response to the consultation which is attached. Clearly this is but one element of a major campaign to convince the County Council that a new town is not needed in the heart of the County. The next stage will be to make our County Council members aware of the strength of opinion against a development of the proposed size, currently 2,700 new homes. Further information on how you can help will be published later this week. This entry was posted in General News on September 24, 2018 by Paul Cummings. There will be a fundraising Fashion Show in the Community Centre on Thursday 13th September 2018 at 7.30pm. Tickets £5 in advance from Janet: 01780 721216 or Hilary 07468-419781 or £6 at the door. This entry was posted in Clubs and Societies, General News, Parochial Church Council on September 9, 2018 by Paul Cummings. There will be an Extraordinary Meeting of the Parish Council to be held on Thu 20th Sep 18 at 8.00pm The meeting will be held in North Luffenham Community Centre. The key elements of the meeting will be consideration of the Parish Council’s response to the RCC Local Plan Consultation Documents. Members of the Public are welcome to attend, however there will be no public forum at this meeting. This entry was posted in General News on September 6, 2018 by Paul Cummings.